Companies of all sizes struggle with cash flow issues. These challenges usually arise between the time your product or service is delivered to your customer…and when that customer eventually pays you. That can take up to 30-, 60-, or 90 days. Without enough cash on hand, you may lose opportunities to respond to changes in the marketplace. Or grow your business. If the money comes in “waves,” you might even find it difficult to make payroll from time-to-time. Invoice factoring can provide you with long-term cash flow and financial security as you develop your business. 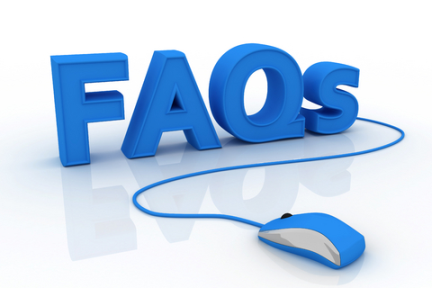 Here are five questions every business should ask about invoice factoring. Good question! Invoice factoring is a form of business financing. The factoring company purchases invoices from your business and collects payments from your customers. You get cash in as little as 24 hours to use in your business. No waiting for customers to pay. It’s that simple. Factoring rates are usually based on a percentage of the invoice. Certain factors such as invoice volumes and dollar amounts can determine the percentage. A factoring company can save you money in the long run. A large accounts payable department is expensive. Tracking down customer payments takes time. Missed marketing opportunities are missed income. The percentage a factoring company keeps is a fraction of those costs. And you get your money in as little as 24 hours. 3. Will My Company Appear Financially Unstable? No! In fact, an experienced invoice factoring company, like Bay View Funding, will give your business a professional, experienced, and polished billing system. Plus, with the time saved from managing customer billing, you can now focus on providing additional services to your customers. Resulting in a shot at greater growth for your company. 4. How Much Control Do I Have Over My Accounts? You remain in complete control of your accounts. You decide which invoices you want to factor. It’s up to you. The role of the factoring service is to process the invoices you want to factor, collect payments and manage accounts receivables. 5. My Customers Are Important. How Does a Factoring Company Interact with Them? Your factoring service is as interested in growing your business and protecting your customer base as you are. The more invoices you send out, the more money the service collects, so it has a stake in keeping your customers satisfied. When interacting with your customers, the service is personable and professional at all times. If an issue arises with a customer’s debt, the invoice factoring company will work with you to determine the best course of action. Bay View Funding is an innovator in cash flow and invoice factoring services for businesses. Over three decades of experience allows us to tailor factoring services to meet your specific needs. We help businesses just like yours to understand and embrace invoice factoring as a useful tool for success. Got more questions? Our veteran team of factoring professionals is standing by to help you get the answers you need. Contact us here or call (888) 299-9993.